Martin Luther King, Jr. once said, “Our lives begin to end the day we become silent about things that matter.” As elected leaders and community advocates, it is our duty to work toward improving the quality of life for all San Diegans; not just the few. This is why I am introducing a resolution to oppose the President’s proposed border wall at the San Diego City Council meeting on Sept. 19. San Diego is a city that benefits economically from the bi-national bond we have with Mexico. It is incumbent on us to protect that bond by resisting moves to further divide us. I am fortunate to represent one of the most diverse districts in the city. District 9 represents the beautiful unity and multiculturalism of our city, state and nation. People come to San Diego from all over the world and many have made my district home. Their rich cultural heritage and strong entrepreneurship have uplifted the quality of life for many who live in historically disenfranchised communities. They call San Diego home and, like you or me, seek to make their home better for their children and future generations. However, when we build barriers and fences, we are simply dividing our communities and creating separation. The President’s constant rhetoric of “us” vs. “them” sends a message that our neighbors are not welcome here. I am standing up and making the voice of my communities heard. Regardless of one’s political beliefs, the proposed border wall is a direct attack on all San Diegans. This is why we cannot support the proposed border wall and related actions to fund its construction, as proposed in House of Representatives Bill 1813 and executive order 13767. HR 1813, known as the “Border Wall Funding Act of 2017,” proposes a 2 percent fee on all remittances headed south of the U.S. border to partially fund the wall. Approximately 54 percent of San Diego’s immigrants will be affected by HR 1813. These taxpayers contribute to our economy and provide tax revenue, which the city depends on to fix potholes, streets, and many other pressing issues. Aside from these unjustly targeted families, the wall will negatively affect our city’s trade and tourism dollars. Our federal tax dollars should be invested in supporting our ports of entry that create jobs and further generate economic benefits. We should not waste funding on an unnecessary wall that would cost our region jobs, revenue, or damage our environment. 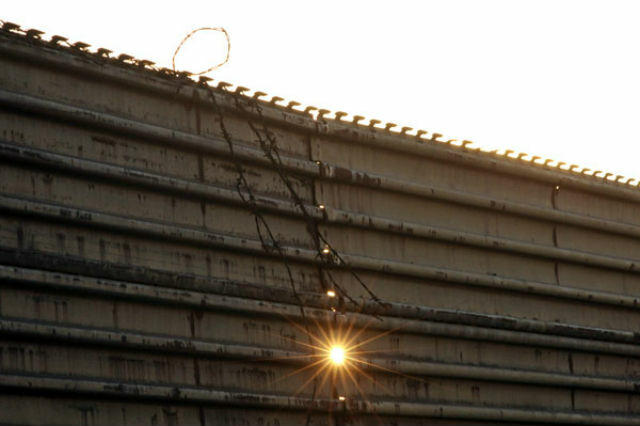 On Aug. 1, the Department of Homeland Security triggered a waiver allowing the department to bypass environmental and other land protection laws in order to begin building and testing the new border wall. The waiver applies to San Diego, where officials already plan to upgrade miles of existing fence and stage a competition to build and test prototypes for the wall. It is our duty to stand on the right side of history and reject harmful and hateful measures that divide our communities. For this reason, I urge you all to join me on Sept. 19, in the City Council Chambers at 2 p.m., and send a strong message to the nation that hate and divisive politics are not welcomed here. 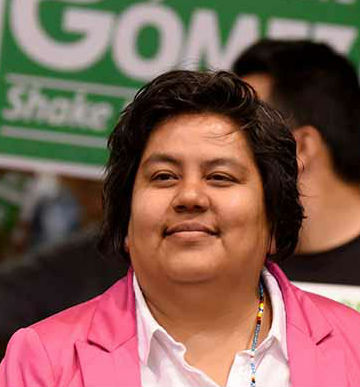 Georgette Gómez represents the 9th District on the San Diego City Council.